I'm glad it's spring and I can move into warmer weather and gardening season. I have a few random reflections on the winter. We went through a lot of the home canned goods this winter. 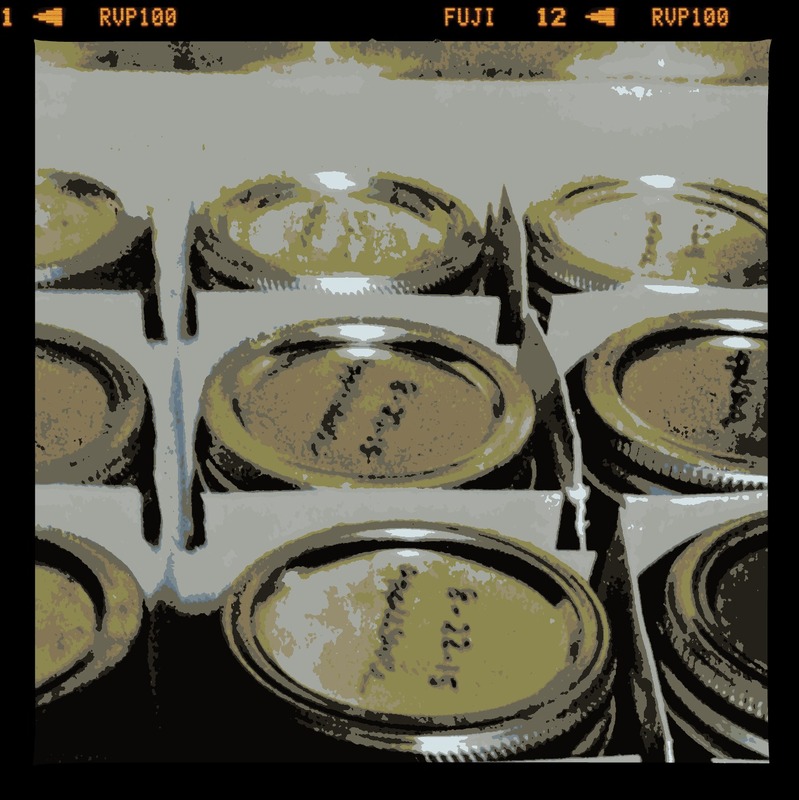 By January we had run through all 12 pints of salsa I canned last summer. This year I need to make more. The boys loved the canned carrots and canned green beans. Only Reid and Paul and I like the beets, but I'm working on the other two. We used up most of the jams and jellies, and discovered that autumn olive is our new favorite jelly - next year I hope to make a lot more. Some of the squash I stored never got used, and I had to throw it away in March when it started to rot. This year I'm planting less squash. Last month St. Patrick's Day resulted in little Leprechaun traps all over the house. The twins were quite devoted in creating these, and they seemed to be around every corner. Alas, they were still empty on March 18th. Maybe next year. I read the boys classics like Hatchet and Old Yeller this winter, when the days were short and the wood stove was going. They loved both books. I put down a layer of hay in the garden for weed control. I look forward to warm hands in the dirt and putting in seeds this month. Readers, do you have any winter reflections? Hi, Can your squash it's wonderful canned. Just cube it and pressure can it. I bet you'll eat it more. I tilled yesterday in my vegetable garden. I am ready to get started again.I like your reading selection with the boys. I have one butternut left in the fridge to keep it for Sundays feast. I have been working on the garden and even got the tractor started so it is time to plow. I grew tobacco last year and will be experimenting with making insect spray with it so I will let you try it if I see that it works. ...I never knew that autumn olive could be used for jam. It's an invasive weed here, I could send you buckets of fruit. My big takeaway from winter is: not enough snow! :-) It was too warm for me. Have fun getting your garden going. We need to get our little raised bed ready. I remember crying over Old Yeller. The subject of this post is a good idea! My winter reflections are that the entire family were sick all winter. In our grandkids family, the hose came off the washer during the night and flooded the basement and garage. They had to replace the sheet rock, rug, and furniture, and re-paint. That will forever known as the great washing machine flood of 2017. You sure keep busy. It makes me back hurt just reading this. Hey, Boxerwood Gardens in Lexington is having a big fairy festival later this month. The gardens are kind of Like Louis Ginter. Right now there are acres of all kinds of plants and trees. I am going to see the Witch Hazel and Hellebore. This place is made for kids, with all kinds of treasures and things. If you are interested, I can send you their link. I think the boys would love it. Not so much a reflection yet, just a worry that it's totally over yet. Yikes, we've had no snow and good weather, in fact the 70's all weekend and boom, I had to cover my tulips for fear of frost last night. It turned to 38 yesterday afternoon and some rainy-snow mix. Not what I want! You picture here is very cool however, here's to spring for all of us! Autumn Olive jelly? that sound deliciously interesting. Have you ever made jelly from wild violets or corn cobs? Just curious, as I have thought about trying them. I am looking forward to growing a few things this season. I am glad for the warm weather. Reading to your kids by the fire . We used to do that. My daughter liked anything about horses. My son liked The Wind and the Willows, like his dad. It's a good life your family has going there. It's nice to look at reflections. You stay so busy, Lisa, yet take the time to let us see some of your world. It's a beautiful thing. Planting a garden was an annual event during the 1040s when I was growing up and wanted to "play" outdoors by myself or with my buddies. It was a bad time for me to spade the garden and wait until it rained enough on it so the clods would break apart easily and the lumps and large pieces could be raked into a level patch of dirt that would grow anything we planted. And what mom and I ate, other than fresh eggs from the chicken house nests, with an occasional Old Hen (no longer laying) being decapitated with my handy hatchet--that was my job, to chop off their heads and pitch the headless animal away from me onto the ground. Sometimes, the would stand up without their head and run off for a few feet before kicking the bucket (so to speak). Mom spent a lot of days just harvesting things and cooking them and putting them in glass jars and sealing the tops with lids that had to "pop" so we would know the foot inside was good to go under the bed until it would be hauled out and used sometime. We didn't have a radio and television hadn't been invented and the government didn't own a single computer and lots of words that we use today, without even thinking about it, like Internet, computer, font, password and being friends with people you never met and never see at your front door. About the most risque thing in eroticism back in my day was a bus ride to Dayton and a walk down Fifth Street to the Mayfair Burlesque theater when middle-aged women with way too much lipstick on stumbled across the stage and flipped her bra up and down but the bottom never seemed to move quite enough to see what all the men had paid their lunch money to see. Ah yes, I have lots of memories but they are only as interesting to you as you want to take the time to read the post. I wish I had done more quilting, more reading, and more inside home improvements. But, I think I say that every year. This year was a warm winter, so we walked a lot more than we usually do, so I guess it's okay that I didn't get to my list. Winter? It wasn't much of a winter this year! I admire your canning ability. I tried it years ago but the results weren't very good. Winter reflections? Honestly, I'm too focused on spring and summer. Memories of winter for me are like every winter--coming home after work to put on my PJs at 6 p.m. just to fall asleep by 9 p.m. Somewhere in between I have a chance to eat and help Lewie with his homework. We did have fun on that one day we went snow tubing. I think I may try container gardening this year... Although, it would be more helpful if my son actually liked vegetables. He likes broccoli and carrots, but he detests lettuce, tomatoes and cucumbers. Ugh!!! Good for you to reflect! I don't can any more. You are a keener! We don't get a lot of change in seasons here, so no big winter reflections. I do have a lot of 'last year' reflections that leave me so grateful that sine things only last for seasons in life. ;) Things are bright and happy and that's just the way I like them. :) Here's to gardening and sunny days! We still have a bunch of tomato cubes. I'll have to make a chili to use some up. My husband is big into growing food. He learns something new each and every year. We'll have a lot of processing to do I'm sure.